We are always striving to keep at the forefront of development & design. As a result of this we have once again improved our Evac body splint. The thickness of the lower outer skin has been increased to give more resistance to abrasion, whilst using a new lightweight material on the upper skin in order to maintain the overall weight of the item. We have also changed the head strap to give two fitting systems to give a firmer head restraint. 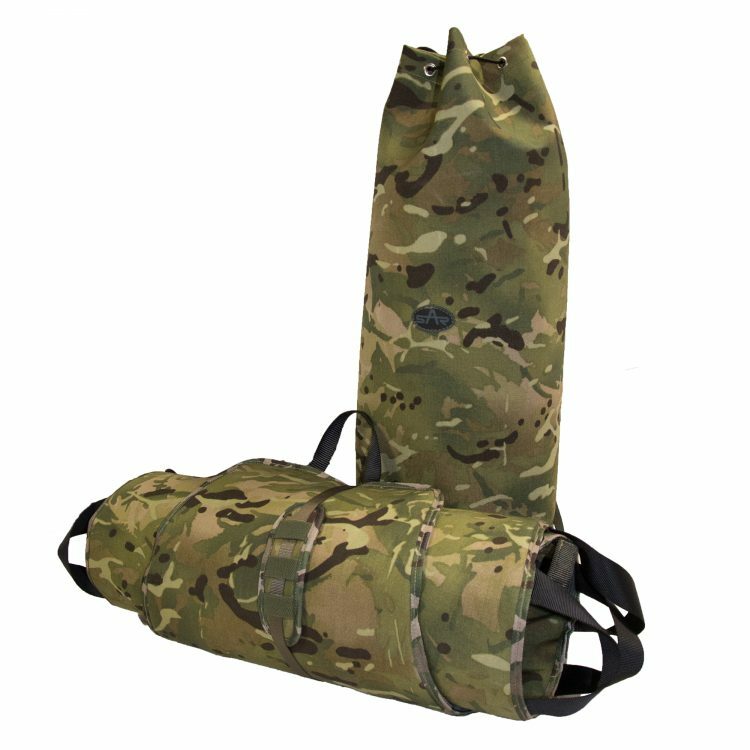 The Evac has a width of 68cm across both the shoulder and hip areas and is 205 cm long, giving more security and protection to the casualty. It has six horizontal lifting loops, three down each side, positioned along the main trunk/torso of the casualty. 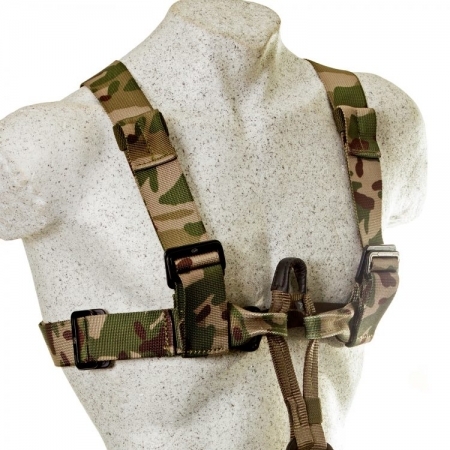 All the main casualty securing cross straps are of 50mm webbing with adjustable clip buckles. 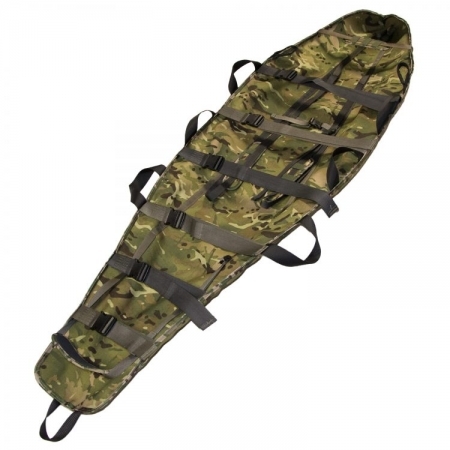 It has an integral body harness made from 25mm web with crutch padding and adjustable foot support with padding for extra security and to stop body slip when in a vertical or angular mode of lift. The two main vertical lifting loops are positioned at the shoulder which gives a true vertical lifting position for the casualty. The head section can be formed into a cone to disperse debris when dragging through confined spaces. The strap holding the Body Splint in position when rolled has a fitted pad and can be used for a head restraint by threading it around the outer loops on the coned area. 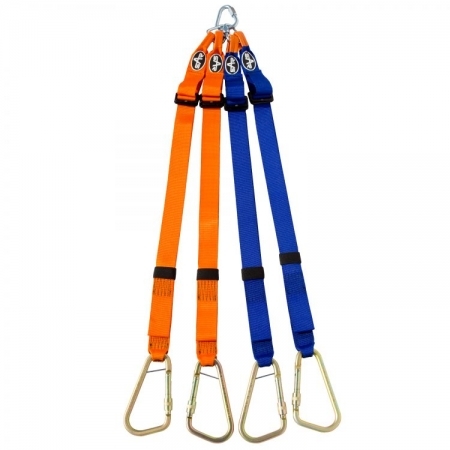 It can also be used as a lifting mat without the use of the straps. Two people can transfer a casualty from one flat area to another keeping the casualty in a horizontal mode. 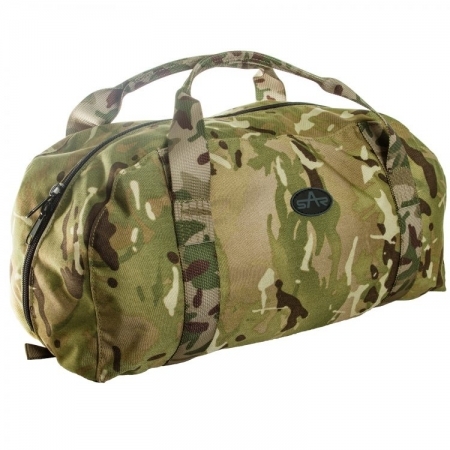 The Evac and bag are made from 2000 denier cordura nylon. 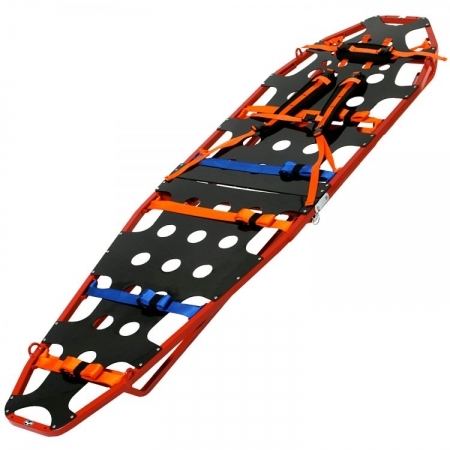 The SAR Evac stretcher conforms to EC declaration of conformity 93/42/EEC concerning medical devices. Article 11 (5) and annex VII Class 1 devices.